1. First you need to crawl your site. Integrity: Type the address of the website's home page into the Starting url box and press Go. Scrutiny: At the Sites screen, press the [+] button and and type your starting url. OK that and press 'Scan now' beside your new site. The application will start at your home page, find all of the links on it, check those links and then for each of those which is another page on your site, check for links on those pages too, and so on. This will all happen surprisingly quickly. 2. When the crawl has finished, you'll see a list of the links on your site. 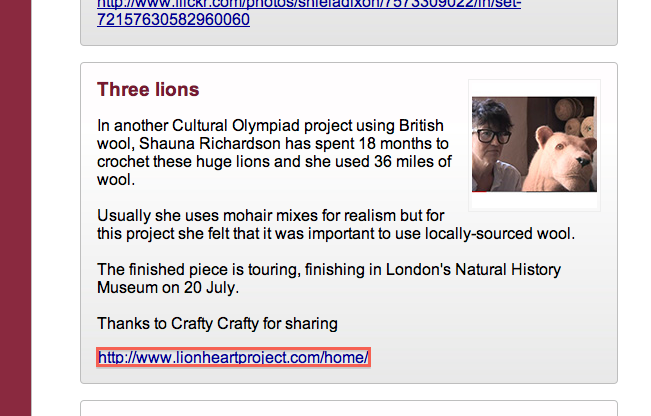 (Scrutiny: click 'Links' from the results selection screen.) Each link may appear just once or appear on many pages (for example a 'home' link may appear on every page of your site). 3. If the resulting list of links includes urls you don't expect or don't want, you may need to look at your settings and preferences. 4. 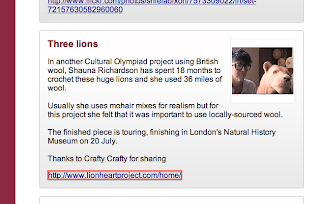 We're interested in just the bad links so in Scrutiny, tick 'Bad links only'. In Integrity, find 'Bad links only' under the View menu, or its button in the toolbar if you have it showing, or command-B. 5. If you're interested in seeing which links are bad and then seeing a list of pages that link appears on, you want the 'By link' view. If you're interested in seeing a list of pages which need attention and then seeing which links need attention on that page, you want the 'By page' view. The Flat view shows each occurrence of each link on a separate row. You can sort any of these tables by clicking on a column header. 6. If you see none, good news! If you see some bad links, the Status column will tell you the reason. 7. Double-click a link to see more information about that link, including the pages that it appears on. From there you can click a page to either visit that page or highlight the link on that page. Thanks for your interest in these applications. Please use the comments box for any questions, comments and suggestions.